Rebooted animated series Danger Mouse is set to return for a third season on UK children’s broadcaster CBBC. Commissioned by CBBC controller Cheryl Taylor, the new series is part of a five-year coproduction partnership between CBBC and FremantleMedia Kids & Family. Season two launches later this year, with season three (26×11’) due to arrive in 2018. Danger Mouse is coproduced by CBBC and FremantleMedia, which owns worldwide TV and licensing rights to the series. The executive producers are Tim Searle for CBBC Productions, and Bob Higgins and Chapman Maddox for FremantleMedia. The reboot of the classic series launched on CBBC in September 2015. 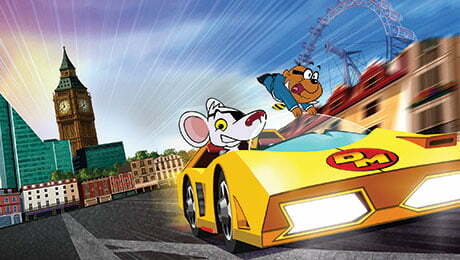 Originally produced by Cosgrove Hall Films for Thames Television, Danger Mouse aired on ITV from 1981 to 1992. Season one of the reboot has been sold into more than 100 territories, including to major broadcasters in North America, Australia, New Zealand, Latin America, Germany, France, Benelux, Scandinavia, Poland, Italy, Middle East and Japan.